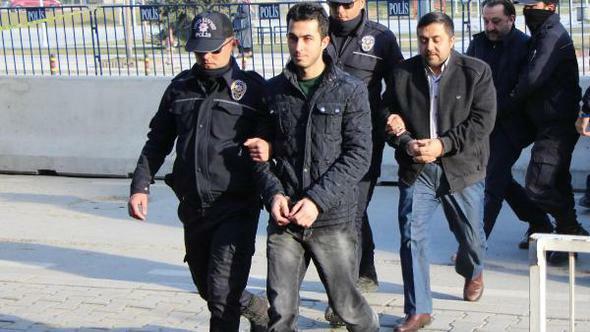 At least 14 people were detained in Bolu province as part of an investigation into the Gulen movement, on Monday. Detainees, accused of using ByLock smartphone application, include 7 students, 5 business executives, 1 doctor and 1 academic. ByLock is considered by Turkish authorities to be the top communication tool among followers of the Gülen movement, which is accused by the government of masterminding a failed coup attempt on July 15, 2016. Turkey survived a military coup attempt on July 15 that killed over 240 people and wounded more than a thousand others. Immediately after the putsch, the Justice and Development Party (AK Party) government along with President Recep Tayyip Erdoğan pinned the blame on the Gülen movement, inspired by US-based Turkish scholar Fethullah Gülen. Tens of thousands of civil servants, police officers and businessmen have either been dismissed or arrested for using ByLock since a failed coup attempt last July.